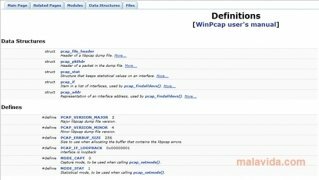 WinPcap is a pack of libraries that allows the applications to capture and send small network packages without passing thought the protocols pile. 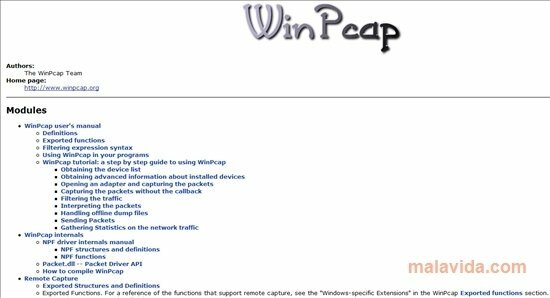 It's a version of the popular libcap API for Unix developed for Windows. 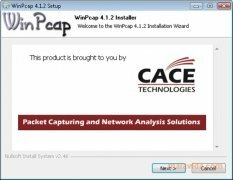 Furthermore, it includes other functions like packs to kernel filtering level, support for the capture of remote packs or a networks of statistics engines. 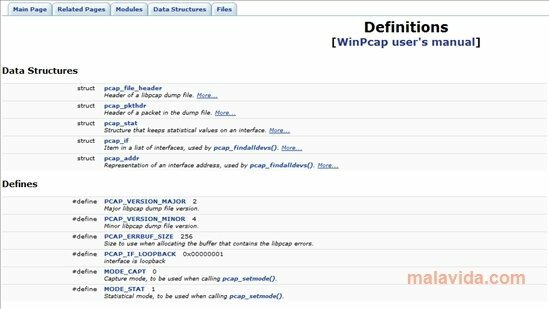 WinPcap includes the API library from Linux for Windows. Its proven efficiency has transformed the application more or less into a standard for the industry, despite being open source and free. It's used in commercial environments and its performance is outstanding. 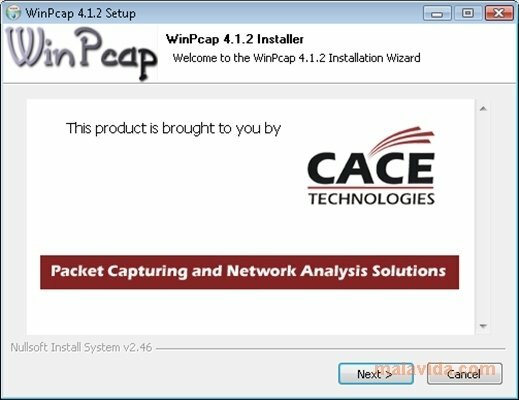 If you still don't have WinPcap you should have a clear idea why you should install it.